The Art Gallery of Ontario has launched a crowdfunding campaign to bring one of Yayoi Kusama’s signature Infinity Mirror rooms to its permanent collection. A temporary exhibit by the Japanese artist was a smash hit this past spring, and it seems the AGO is now hoping to mirror the success of the show — for infinity, or at least as long as the gallery exists. “Yayoi Kusama is one of the most important artists alive today. 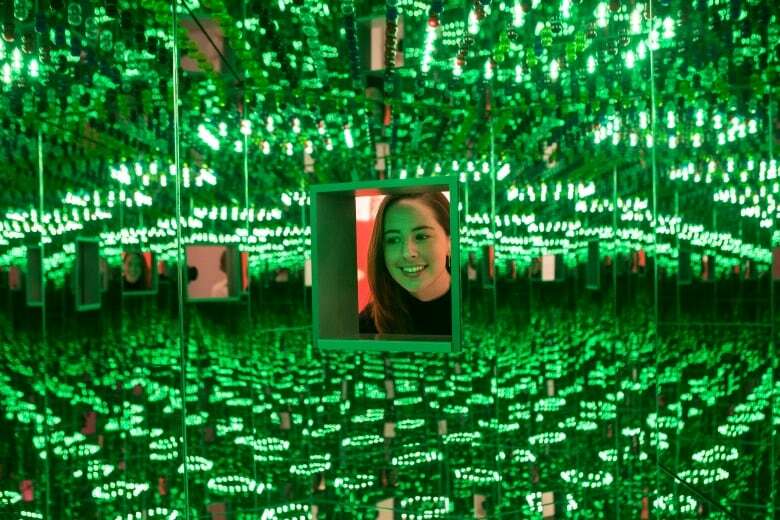 The opportunity to have an Infinity Mirror Room as part of the AGO’s collection is deeply exciting,” said Stephan Jost, CEO of the art gallery. More than 165,000 people visited Kusama’s renowned chambers of illusion during the show’s limited run at the AGO this year. Nearly as many seemed to share selfies from inside the rooms on social media. A permanent installation would become Kusama’s only Infinity Mirror Room at a Canadian public art museum. To pay for the work, the AGO is making a rare public appeal for help to raise $1.3 million for the display. The gallery has already secured another $1 million through its AGO Foundation. “We want to buy an Infinity room by Kusama for our collection so people can see it,” Jost explained in an interview with Metro Morning. The AGO says the campaign is the largest crowdfunding effort ever undertaken by a Canadian art museum in an effort to acquire a contemporary artwork.